SAN FRANCISCO—In a vote that Chief Justice Tani G. Cantil-Sakauye called “historic” and “a paradigm shift,” the Judicial Council at its meeting today unanimously adopted a new budget development and allocation process for trial courts based on workload instead of the pro rata formula used for the last 15 years. The new process will shift current baseline funding from some courts to others. A subcommittee of the Trial Court Budget Working Group that developed the allocation process was highly praised by the Chief Justice and members of the council. The subcommittee included judges and court executives from trial courts of variable size, geographic location, and funding need. Audits of Judicial Branch Entities: The council received the California State Auditor’s report on compliance with the California Judicial Branch Contract Law. That report concluded that the six pilot courts studied generally complied with the Law but that semi-annual reporting could be improved by the AOC. The council also accepted internal audits of the superior courts in Alameda and Los Angeles Counties. In addition, the council accepted an internal audit of compliance with facilities management and maintenance contracts from 2006 through 2011. Per Judicial Council policy, these internal audits will be published on Audit Reports section of the California Courts website. 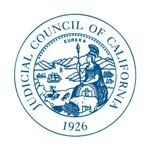 Judicial Council–Sponsored Legislation: The council approved a recommendation from its Policy Coordination and Liaison Committee related to six proposals for court operational efficiencies, cost savings, and cost recovery. The proposals were developed by presiding judges and court executive officers, with input from members of many of the council’s advisory committees and branch stakeholders. A chart showing the status of all legislation the Policy Coordination and Liaison Committee has taken a position on or reviewed on the council’s behalf is posted on the Court-Related Legislation section of the California Courts website. Governance, Structure, and Organization of Judicial Council Advisory Groups: The council approved recommendations from its Executive and Planning Committee, Rules and Projects Committee, and Technology Committee to improve the governance, structure, and organization of the council’s advisory groups. The recommendations are designed to help the council set priorities and direction for its advisory group function and will improve the council’s oversight of the advisory groups and the AOC. The next step in this process is to develop guidelines for the advisory groups on issues such as budgets, staffing, projects and timelines. The meeting agenda and reports considered during the meeting are posted on the California Courts website. In addition, an archived audiocast of the meeting will be posted early next week.